Paris has nearly unlimited things to offer. It doesn't matter if its your first or 10th visit, there's always something new to see and do. From the classics like a visit to the top of the iconic the Eiffel Tower to a stroll around the world-renowed art museum Louvre, which among many splendid pieces houses Da Vinci's masterpiece Mona Lisa, to a fabulous carbaret at the Moulin Rouge or Lido de Paris. Paris is not only the capital of France, but also the country's most populous city with an area of 105 square kilometres and a population of 2,206,488. 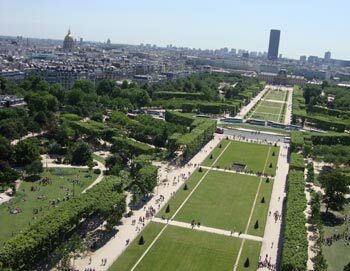 Its cityscape is crisscrossed by wide, beautiful boulevards and the River Seine. Beyond the city's many well-known landmarks, such as the Eiffel Tower, the 12th-century Gothic cathedral the Notre-Dame, and the incredible Sacré-Cœur Bascilica on top of Montmartre, the city is known for its charming cafe culture and high-end designer boutiques. Famous neighborhoods include the bohemian Montmartre, the hipster Le Marais, the Latin Quarter, cozy Canal Saint-Martin, the exclusive Champs-Elysées, and the cozy Saint-Germain-des-Prés. While Paris have numerous world-famous attractions, an tourist favorite is the Eiffel Tower on the Champ de Mars. The Eiffel Tower attracts more visitors than any other paid tourist attraction in the world and is a definite must-see, when visiting Paris. In order not to waste your previous time in Paris while stading in line, you can prebook your tickets to all of Paris' most popular sights and attractions and skip the line! 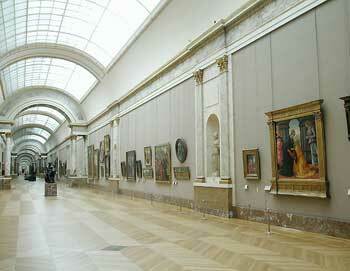 We offer various skip-the-line and Fast Track tickets to museums such as The Louvre, D'Orsay, and the Rodin Museum. You can also find guided tours around the museums and self-guided tours with an audio guide. The City of Lights is world-renowned for its incredible architecture, history and atmosphere. Paris has so much to offer, it's hard to know where to start. Allow us to assist! Below you'll find our top selling attractions in and around Paris such as the iconic Eiffel Tower, Mona Lisa's home The Louvre and the magnificient Versailles.